Amazon.com Inc. is now testing its cashierless checkout technology in bigger stores, according to a report published Sunday by The Wall Street Journal. Although there have been some bumps along the road, the Journal reported that the tech now works well in smaller places that look more like grocery stores. Apparently, things ran less smooth when the tech was faced with higher ceilings and larger-scale shopping. Amazon is banking on cashierless as the future of physical retail, and in September this year reports surfaced that the company intends to have about 3,000 such outlets in the U.S. come 2021. It’s also reported that Amazon is looking at a similar expansion in the U.K. The first store opened in 2016 in Seattle, followed by two more there and another three in Chicago. Amazon intends to open another store soon in Chicago and one more in San Francisco to add to the only one there. Those outlets are not any bigger than ordinary convenience stores. 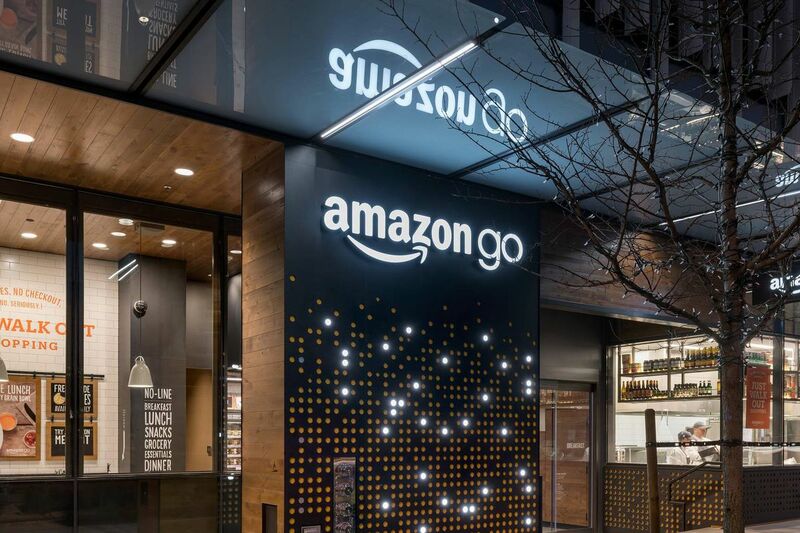 But even at that scale, Amazon had problems, with reports earlier this year that the technology in these Amazon Go stores would break down if there were more than 20 customers at one time. What should happen is shoppers seamlessly pick up goods that are tracked by an app on the user’s smartphone. The shoppers can then just leave the store and their credit cards will be billed for the purchases. Some critics have called the stores rather gimmicky, but Amazon seems to believe this is the future. In 2018, Dilip Kumar, vice president of technology for Amazon Go, said “time poverty” was a concern for most shoppers and grocery or food shopping had to become more convenient. It seems the company has now ironed out those creases, mainly the technology not being able to track goods when the store got busy. Now the focus is on spaces “formatted like a big store,” according to the Journal. Amazon rival Wal-Mart Stores Inc. also announced this year that it is testing out the cashierless model at its members-only Sam’s Club stores. “nowadays it is a great fact that the future of retail is as much about people as it is about the latest seen of technology,” Sam’s Club Chief Executive Jamie Iannone said in October.